Unilever's Rexona deodorant brand was the official provider of deodorant to the Melbourne 2006 Commonwealth Games. This was proudly proclaimed early in 2006 on special green and gold cans bearing the official logo of the Games. While one might question whether the Comm Games actually needed an official deodorant (did they have an official shampoo, toothpaste or dental floss? ), there is arguably a connection between athletic performance and sweaty armpits. From memory, tennis star Ivan Lendl endorsed a deodorant brand in the late 1970s with a line about how it made him "look cool on the court". I initially took it to be some kind of officially-endorsed merchandise, and assumed that by buying it I was somehow (directly or indirectly through licensing fees) supporting Australia's World Cup campaign. But on closer inspection, there's nothing official about it: no FIFA logo or reference, in fact no actual reference to the World Cup at all. Nor, despite the words "Australia 2006", is there any reference to the Football Federation of Australia or the Socceroos or their World Cup finals appearance. 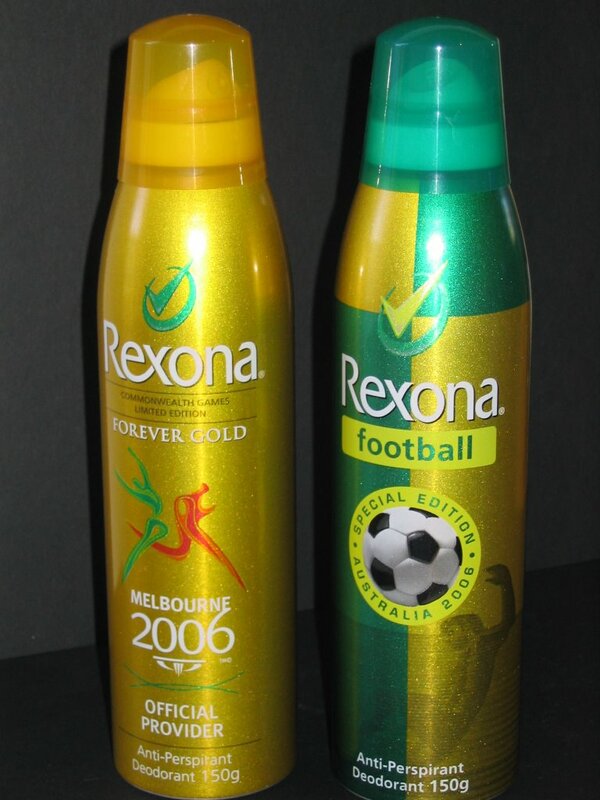 Was Rexona deliberately hijacking increased consumer awareness of soccer (football) and heightened passion and patriotism surrounding Australia's first World Cup appearance in more than 30 years? In my view, all the signs point in that direction: why would the pack say "special edition" and "Australia 2006" if it was either a permanent "sports-strength" formulation or some kind of seasonal variant? If deliberate, then it's a case of ambush marketing and it smells - someone at Unilever deserves a spray. PS. Unilever's Australian website states that achieving their corporate purpose "requires the highest standards of corporate behaviour towards our employees, consumers and the societies and world in which we live". Nothing about free riding there!